Learn about the course of nature. Nature is a multisensory learning environment, where the child, among other things, may experience the joy of observing the progress from sprout to flower and arrive at an understanding of contexts. 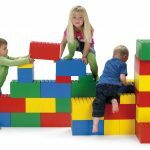 Large building blocks in two different sizes and with interior reinforcement allowing the child to climb onto the finished construction. For creative play both indoor and outdoor. 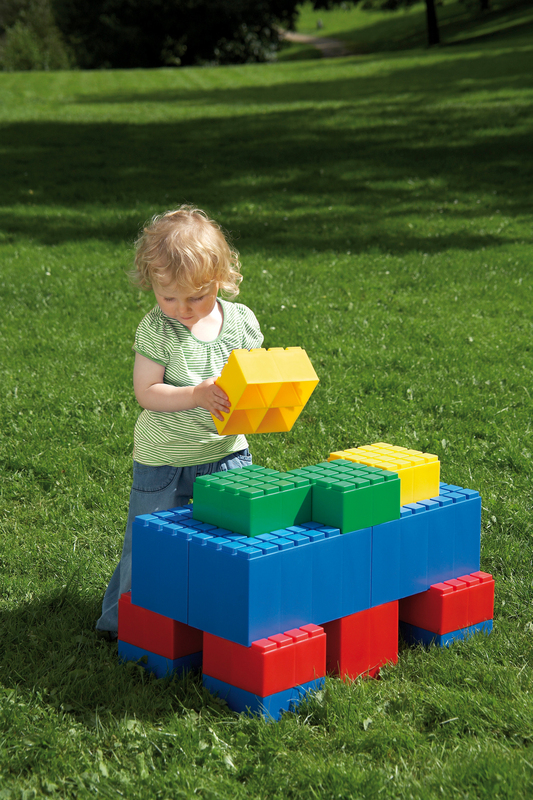 Help strengthening the child's imagination, fine motor control and physical development. Perky cars with happy expressions for the youngest ones, from one 1 year and older. 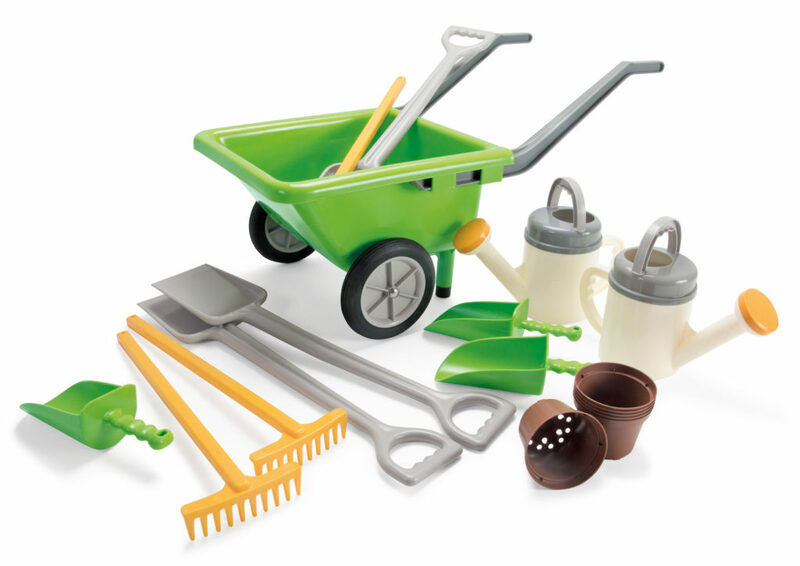 Ideal for both indoor and outdoor play and withstand water and sand. Just shake the car to get rid of any water and sand. They are dishwasher safe (except if they have stickers attached). When the child is playing in the institution, there are wide opportunities for gaining fully of the play. 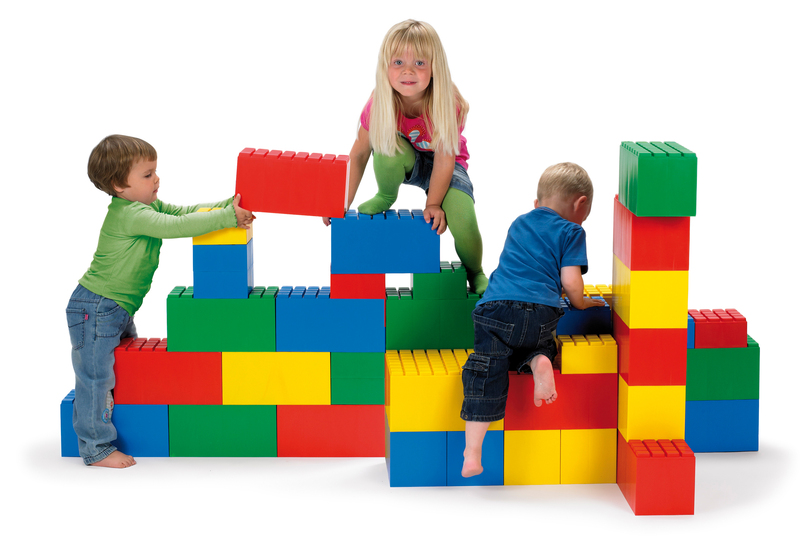 Both because the frames are usually larger than at home, and because there may be many children sharing the play. The child spends most of the day in the institution, and, therefore, it is important that the child develops mentally and physically in this place as well. The institution’s responsibility for the child’s development is as large as the home’s. 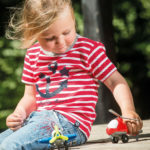 Therefore, it is important that the institution has toys with a great volume which creates the possibility for children playing together in a share game. This may be a pretend play, where the sets are designed for many children, for instance sets for up to 12 persons or more. 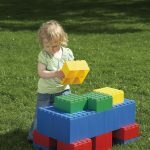 Here, there is a good opportunity to develop the child’s ability to share, cooperate and delegate tasks or functions to others, but also to be able to accept tasks from others. In addition, the child may strengthen the fine motor control when pouring the coffee from the coffee pot into his or hers friend’s coffee cup. Similarly applies for sets of toy cars with many cars designed for many children. Playing with someone and being part of a story and creating a universe together with other children, strengthens the child’s social skills, which will become very useful later on in school or in after school care. 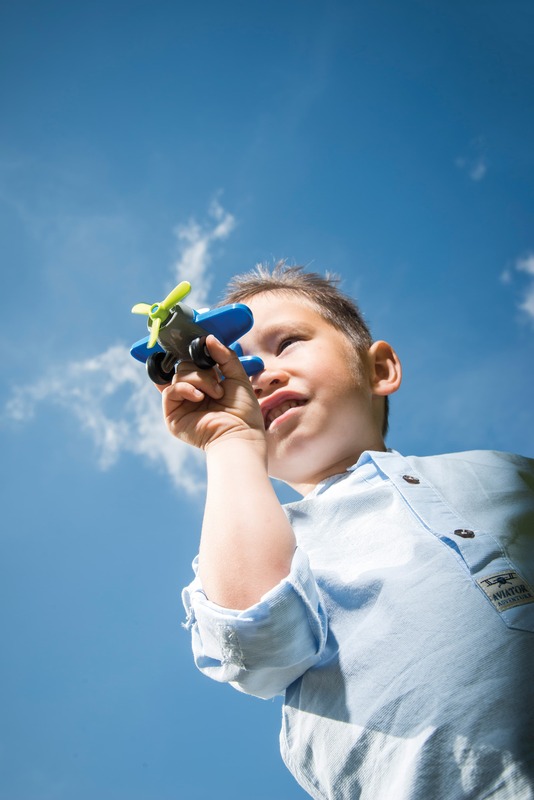 dantoy offers a wide range of children’s toys for institutions and has supplied children with toys for many years, thus becoming specialised within quality toys, Danish toys and Nordic Ecolabelled toys. Today’s trends points towards environmental friendliness, and dantoy is taking this very seriously. Having dantoy toys in the institution means that parents can drop off their child in the institution feeling confident about the toys that their child is playing with during daytime, since all dantoy products are safe. Good to Know All dantoy products are safe. Therefore, we have chosen to add the Nordic Ecolabel (the Nordic Swan) to approximately 90% of our products and more are coming. 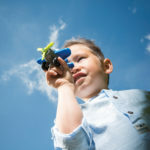 Nordic Ecolabelled toys are the official Ecolabel of the Nordic countries and are, among other things, free of phthalates (suspected of being endocrine disrupting), perfume (allergens), aromatic solvents (harmful), PVC, lead, cadmium, mercury and organic tin compounds (harmful to both health and environment). 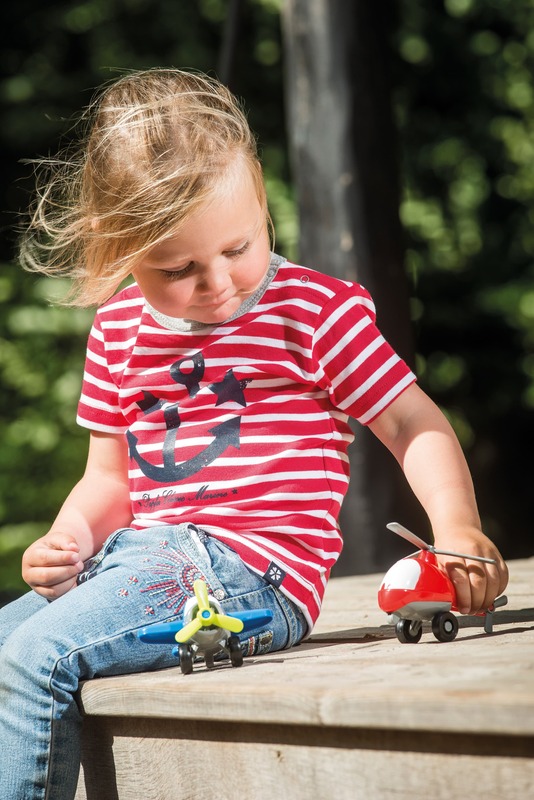 Read more about the Nordic Swan Ecolabel here: http://www.ecolabel.dk/da/virksomheder/brug-miljoemaerkerne/toolbox-licenshavere All our products are dishwasher safe, however we recommend cleaning toys with stickers manually. 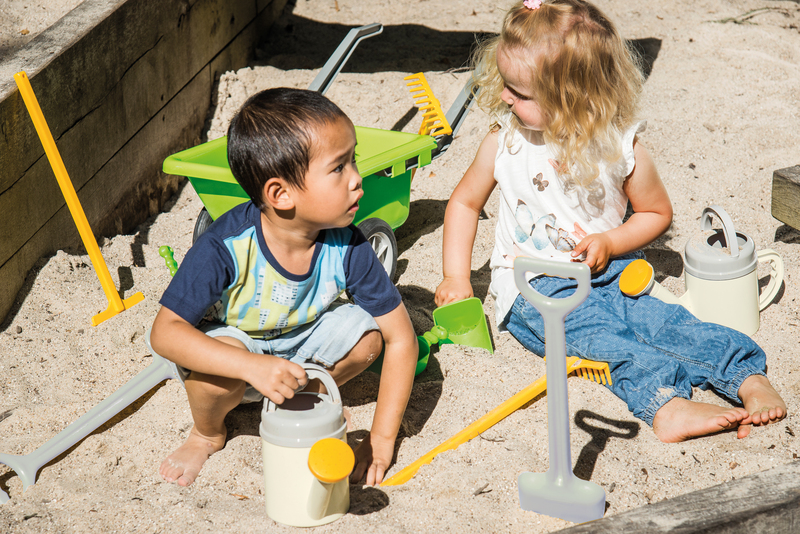 At dantoy, we only use premium and hardwearing materials, and the products may thus be used repeatedly in the sandpit, in kindergarten, in the garden or in the playground.